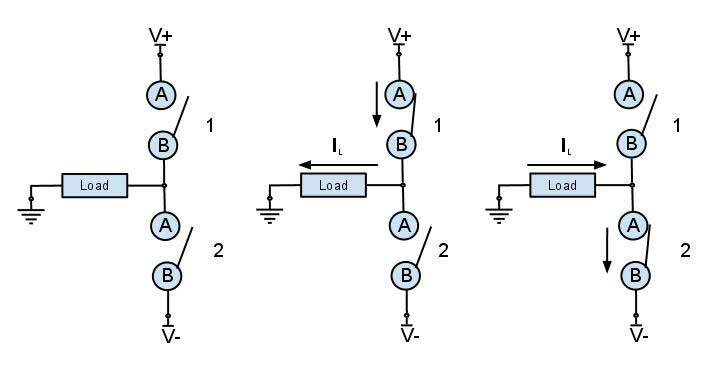 Four isolated outputs MOSFET channels for DC loads such as DC motors, Peltier cells, light bulbs, solenoids, resistive heaters, etc. The board is equipped with four leds to check each output state. 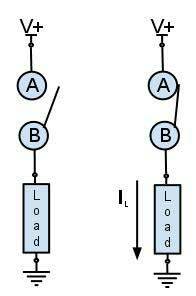 When a led is on its associated output is active (the MOSFET is conducting). The following picture shows Daisy-19 connectors and monitoring LEDs. 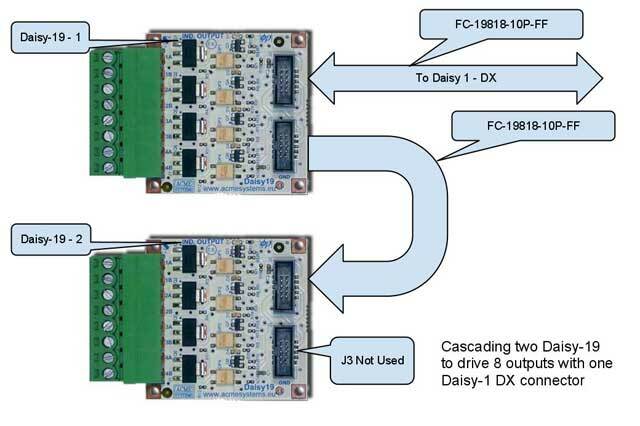 Up to 2 Daisy-19 boards can be connected to the same Daisy-1 connector by means of the Replicator connector J3. 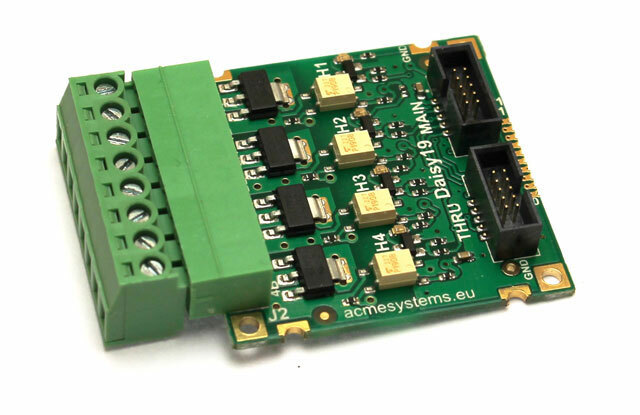 So full use of all I/O pins on a single Daisy-1 connector is made. This applies to Daisy-1 connectors: D2, D3, D5 provided all pins are set as GPIO. Up to 4 loads can be driven in this configuration. Up to 2 loads can be driven in this configuration. Make sure voltage between V+ an V- does not exceed 48V. 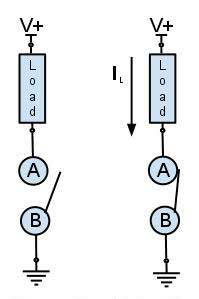 Just 1 load can be driven in this configuration.